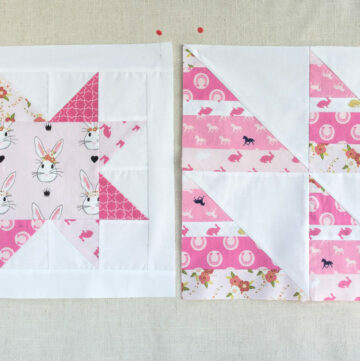 Today I’m excited to introduce you to our new Block of the Month Quilt pattern, the Just for Fun Quilt! A few years ago I hosted a block of the month program. 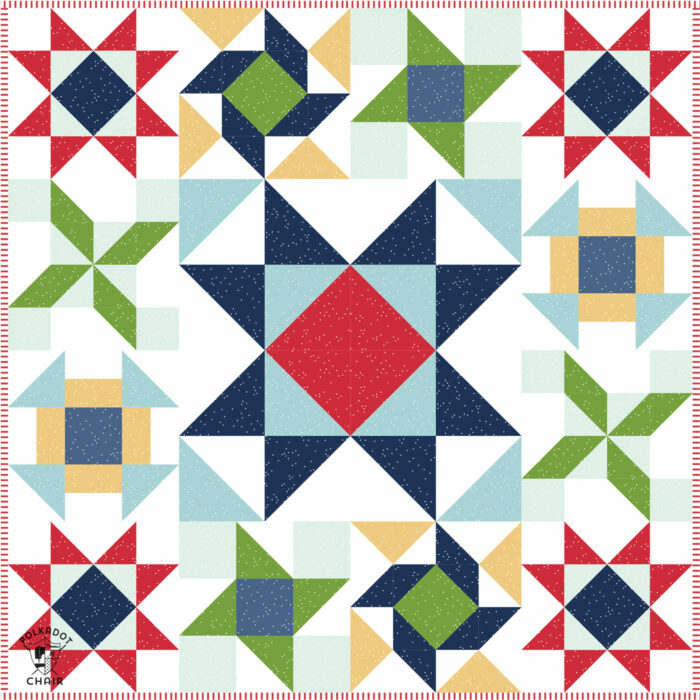 I’ve had a few requests to do another Block of the Month (BOM) and am happy to announce that I have a fun BOM quilt planned for 2019. When I was thinking about what type of BOM program I’d want to offer I decided that I wanted something simple that would be easy to work into your “to make” routines in 2019. I don’t want to stress anyone out or overwhelm you with information or too many fancy techniques. With that in mind, I’m calling this the Just For Fun Quilt, because I want it to be that, “just for fun”. Something without giant expectations or looming deadlines. Just easy and fun and simple. The quilt features 6 different quilt blocks. Each block will be named after something I like to do “just for fun”. (To see all the blocks shared so far in this series CLICK HERE). We are starting with what I’m calling the “Under the Stars” Quilt Block. It’s cold and wintery here and the thing I want to do most is lay under the stars and gaze up at the sky on a warm summer night. We have a boat and RV and spend most of our summers outdoors, and winter really starts to get to me after a while! The dark navy center of this block reminded me of a window looking out to a starry night sky. 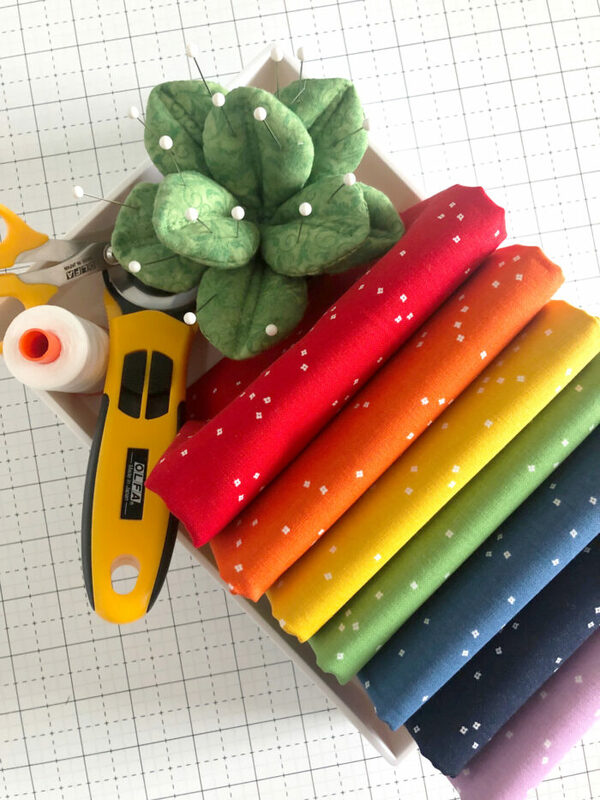 Since I know a lot of you consider yourself beginning quilters, I wanted to make it beginner friendly, in the hopes that by the end of the quilt along you’d improved your quilting skills and will be ready to “promote” yourself from beginning to experienced quilter. The quilt features 6 different quilt blocks. Since this is a year-long project, the blocks will be posted every other month. 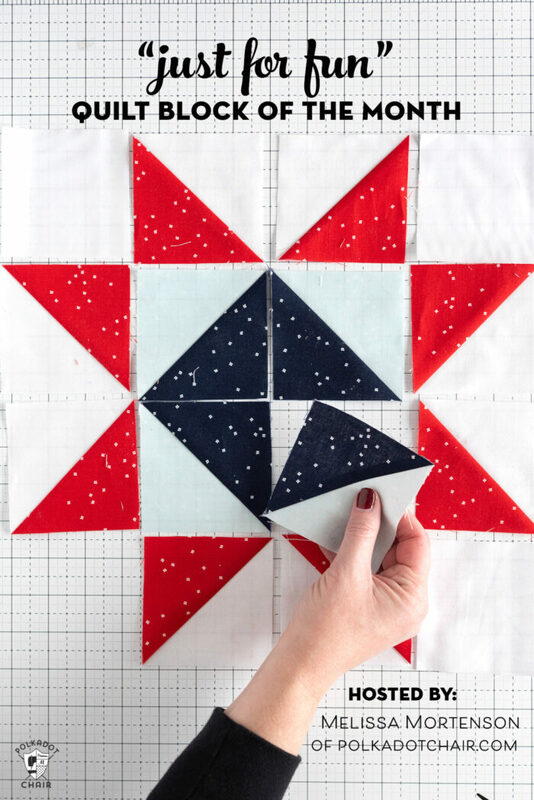 Most of the blocks in the quilt are duplicates, so if you’d like to make one block a month then you can make the duplicate blocks during the off months. I’m making my quilt out of Blossom, which is a new basic from Riley Blake Designs and Christopher Thompson of the Tattooed Quilter. 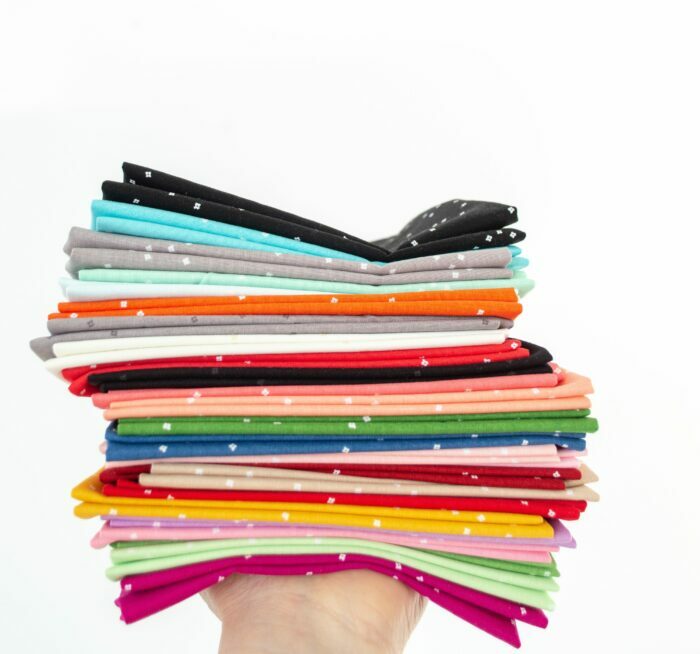 I’ve been wanting to “dabble’ more in solid fabrics, but can’t seem to bring myself to make the jump to all solids. Here is break down of the fabric requirements for the entire quilt along with the dates that the blocks will be posted. The dates may change by a day if conflicts with other projects come up. 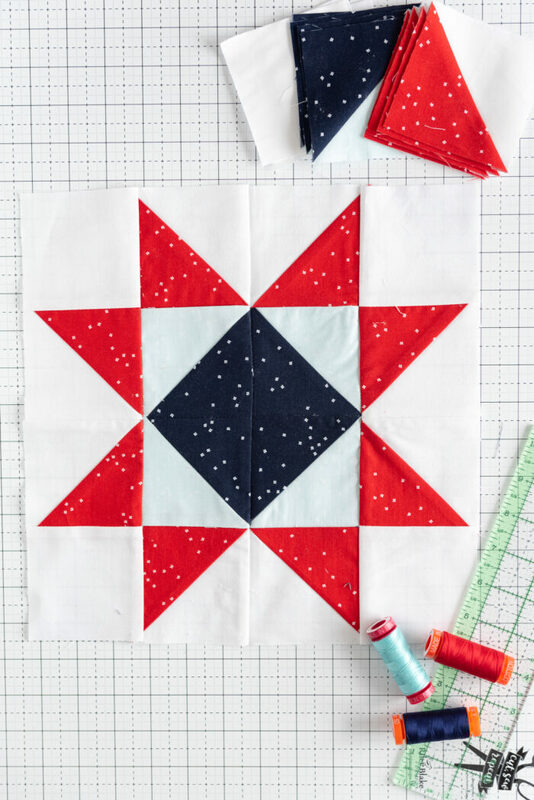 Here it is in printable form (just click HERE to download the PDF), so if you’d like to kit the quilt along, you can just include this printable sheet with the kit. It has a special URL to help you find all of the blocks easily! (As a reminder all of the patterns on this blog are copyrighted and you can not print and distribute them). I hope you’ll join me! You won’t have to wait long for the 1st block pattern as it will be up later tonight. 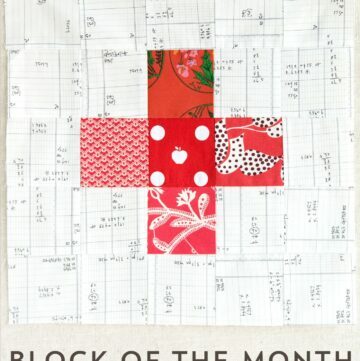 Last time I did a Block of the Month Quilt Along, I got a lot of questions, so here are some answers to those FAQ’s. Is there a Facebook Group for the Quilt Along? Yes, it’s actually called “Quilt Fun” and will cover this quilt along and all others that we host! You can click here to join! What is the Quilt Size? (you can make it bigger if you want at the end by adding borders, but that would be something you’d do on your own). No, it’s free. I run advertising on my blog to allow the content to be free for you. Can I print the directions? Yep, just hit the “print friendly” button at the bottom of the post. Of course! Just send them my way. All of the posts will be indexed so they can find them easily. I just ask that you have your friends visit the site themselves, instead of copying and distributing the blocks. Because that’s just not cool, and I can’t keep doing this if that’s what people are doing. For this block of the month, no. Sorry, I’m actually making the quilt WITH you as we go, so it will be a fun experience for all of us (myself included) and I’m not organized enough that I have all the directions written up for ALL of the blocks! 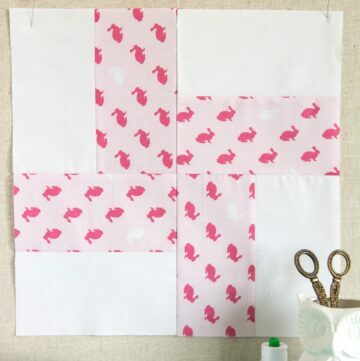 Can Beginners make this Quilt? I think so. 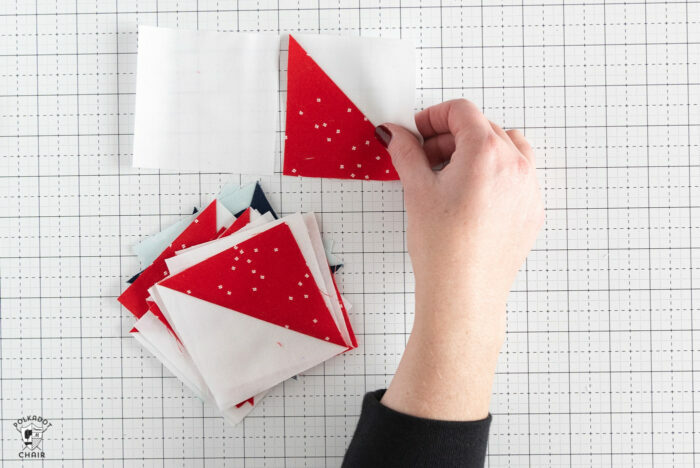 You’ll need to know how to make a half square triangle. I’ve got a tutorial here FULL of photos to help you out. Just go slow and be patient with yourself, and you’ll be fine. Plus if you mess up, who cares? It’s just for fun *wink*. That’s it! I hope you’ll jump in and join! I too am considering quilting along. I need to check my fabrics when i get home from work. thank you! 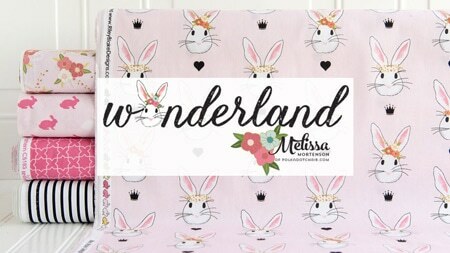 MELISSA WE ARE DYING OVER THIS QUILT!!! My employees and I are going to be sewing along. Would you be okay if I put kits for this up on my website? We have already had a call this morning from a customer in St. George looking for the fabrics. Yes, please go ahead. I’ve included a printable sheet to include with kits on the post- it has the Blog address for them to get the directions for the blocks. If you need more info on the printable sheet just let me know (you can email me). Do the fabric requirements include enough fabric for the backing as well or just the quilt top? Thanks so much!! I’ve never tried to do quilting. This would be a great project. Thank you. Looks like fun! I just happened to have a little baggie sitting at my work station filled with r/w and b/w bonus HSTs for this block! I’m new to quilting and this whole process. This is my first quilt-along. Is there something I need to do? I feel like I’m missing something important. 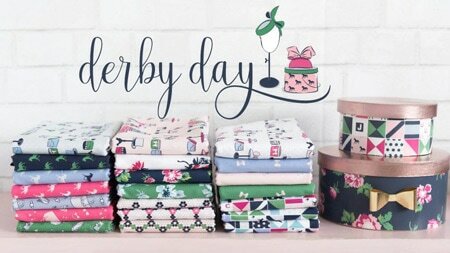 What do I do after I get my fabric? Where are the directions ? Help. I joined a quilting group and would live to something fun to work on at our weekends. Thanks. Just “jump” in. The first block was posted this week. There’s a link at the top of the post that says “to see all the posts in this series click here” click on that and you’ll see all the blocks so far. Love the pattern and the fabric-was thinking the size would be perfect to make to raffle off for a charity. Would that be ok? I have made a super size star square block in flannel for my grand daughter a few yrs back. 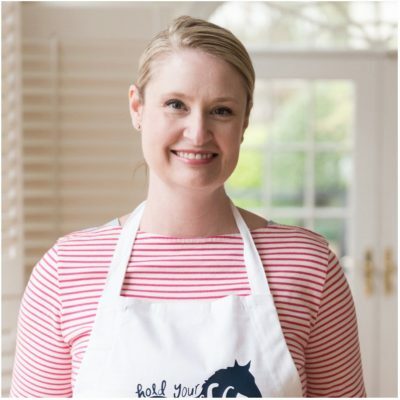 My daughter does a lot of charity work for cancer and children. Could I use this one? And add designed by you? 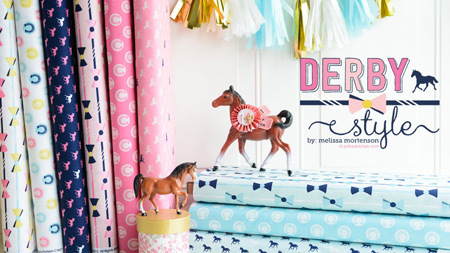 I am interested in purchasing these fabrics or possibly a kit. 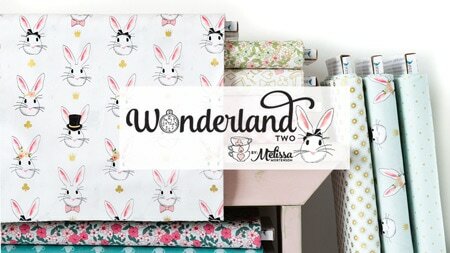 Where can I get the fabrics and what is included in the kit and what is the cost? I saw on earlier comments about a kit. 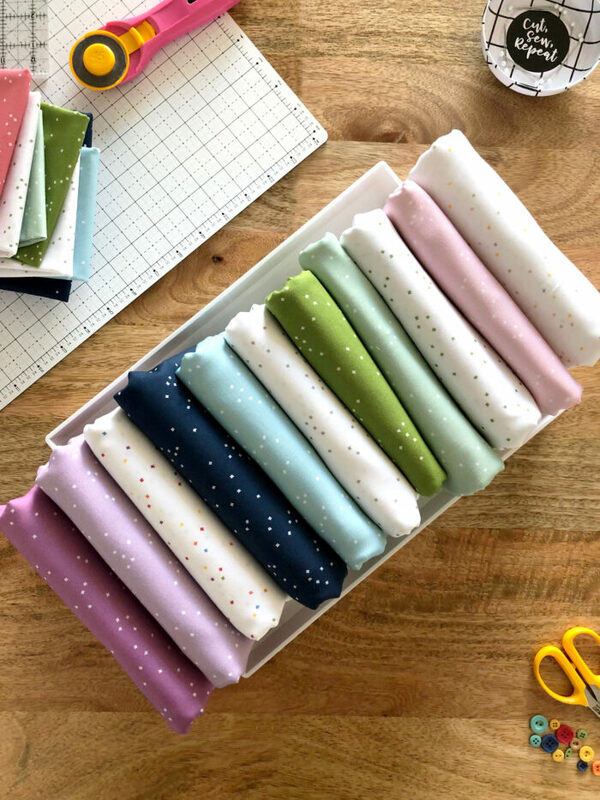 I am new to quilting and the only fabric stores near me are JoAnns and they don’t carry any fabric lines other than their own. Thank you for this lovely pattern I too enjoy the outdoors. There is a shop owner that posted her phone number earlier in the comments section. I’d give her a call, I’m guessing she will ship the fabric. 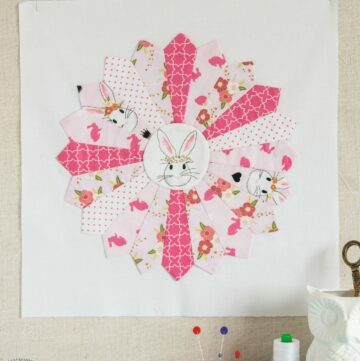 Otherwise, you can buy Blossom fabric by Riley Blake Designs at many online stores.